Mr Se Hwang Liew is on the UK General Medical Council (GMC) specialist register in Plastic Surgery and is a full member of the British Association of Plastic, Reconstructive and Aesthetic Surgery (BAPRAS), British Association of Aesthetic Plastic Surgeons (BAAPS), UK Association of Aesthetic Plastic Surgeons (UKAAPS) and International Society of Aesthetic Plastic Surgery (ISAPS). Mr Liew performs a full range of surgical and non surgical cosmetic procedures, including breast and body contouring surgery, eyelid surgery, nose reshaping and ear pinning. 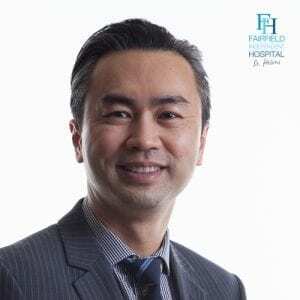 Mr Se Hwang Liew graduated from Belfast Medical School in 1992 with honours and undertook his plastic surgery training in Belfast, London, Swansea and Liverpool. His training included fellowship in aesthetic surgery in the north west of England and the United States (New York, Dallas). He also spent 2 years in medical research and obtained a doctorate degree in medicine from University of London.